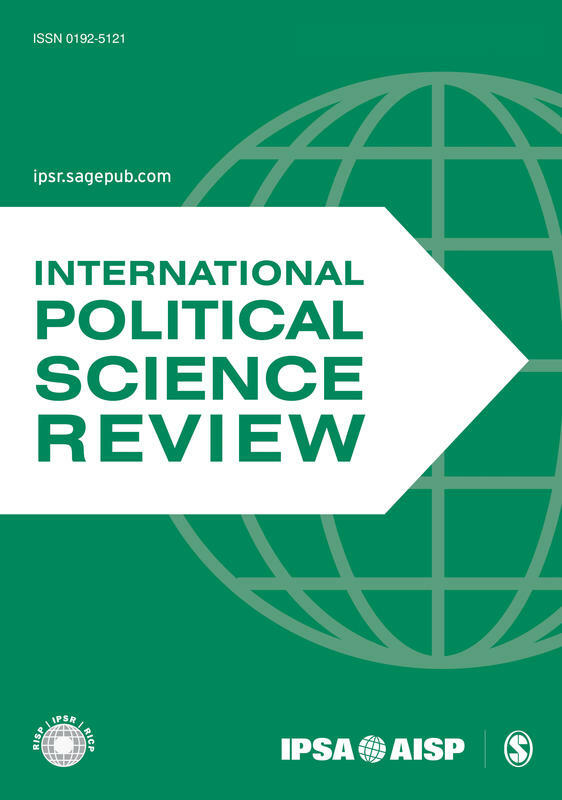 The International Political Science Review (IPSR) is the journal of the International Political Science Association. IPSR is committed to publishing peer-reviewed articles that make a significant contribution to international political science. It seeks to appeal to political scientists throughout the world and in all sub-fields of the discipline who are interested in studying political phenomena in the context of increasing international interdependence and change. IPSR reflects the aims and intellectual tradition of its parent body, the International Political Science Association: to foster the creation and dissemination of rigorous political inquiry while respecting different approaches and methods. Articles are welcome reporting research on substantive topics and significant issues within political science. Authors of single country studies should consider the theoretical and comparative implications of the case. Special issues on themes of general interest to political scientists will be published once or twice a year and deadlines for submissions will be announced periodically. "IPSR uses its international standing to access contributions from all over the world. Providing a rich mix of comparative, international and transnational issues, this lively journal encourages new research, new perspectives and new authors." "The IPSR embodies IPSA's commitment to globalizing political science. Its often fascinating achievements in doing so concerning the domestic, comparative, transnational and international aspects of our field deserve wide attention." IPSR offers OnlineFirst, by which forthcoming articles are published online before they are scheduled to appear in print. More details, including how to cite OnlineFirst articles, can be found on the OnlineFirst Fact Sheet. Submit your manuscript electronically via our online interface. Create an account or log in and upload your manuscript in Word or RTF. For more information on submitting via our online interface, please visit Sage Publications. convert your manuscript to PDF for peer review. Authors are given controlled access to a PDF of their article and a copy of the printed journal after publication. For more information (including a detailed guide for manuscript submission), please go to Sage Publications.